I recently opened an M1 Finance account. I mentioned it in one of my portfolio updates but I think it’s time to talk about it in more detail because I’m enjoying what the platform offers. There’s a lot of new automated investing platforms like M1. These seem to be the rage these days as people search for an easy, cost effective way to invest. I’ve been on the verge of trying one of these but always stepped because because of one reason or another. As an investor, I had a list of things I wanted my investing platform to do. 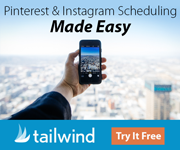 I wanted it to be easy to use, cheap(as close to free as possible) and most of all FLEXIBLE. Unfortunately, most of the automated platforms lack heavily in the last regard. There’s a few options but a lot of them lack the ability to customize on top of being somewhat costly. I wanted customization options and that’s exactly what M1 said it offered. It certainly seemed to check the marks on my wants and needs. It was easy to use, very flexible and best of all, it was free. 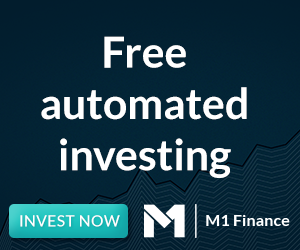 M1 Finance is a free automated investing platform. It allows users to create portfolios and invest in them. It comes with automated balancing based on criteria an investor sets. These portfolios can be as small as one stock or they can be what M1 calls Pies. Pies are basically portfolios made up of multiple individual stocks or ETFs. These can be user created(and this is where the flexibility comes in) or suggested by M1 with their expert pies. Pies can be as simple as just a few ETFs or be made up of multiple slices which can have their own unique holdings. Expert Pies are exactly what they sound like, suggested portfolios based on what type of investing you want to do. For example, in the general investing category, an investor may find pies based on their risk tolerance. The Ultra Conservative portfolio has 6 holdings, 4 of which are Vanguard and steers an investors mostly into bonds. The Ultra Aggressive holding is the opposite holding mostly stocks. The best part about this all is that the holdings show M1’s commitment to the investor. This is not a platform where the costs are free but they steer you into high cost ETFs. We’re not talking high expense ratio plays but mostly Vanguard or iShares funds. The Ultra Aggressive portfolio above has an average expense ratio 0.07%. The best part about this is that there an 0 management fees and 0 trading fees so all you pay is the expense ratio as you would on most other platforms these days. High trading costs are becoming the norm and part of that is due to platforms like M1 Finance. Free is the new norm and that means it’s a good time to be an investor! There are a wide variety of expert pies to check out. The Plan for Retirement one is akin to target retirement funds where you type in your retirement date and it suggests based on that date and your risk tolerance. The small expense ratios appear here as well. The 2045 aggressive pie has an average expense ratio of 0.09% and is made up of mostly vanguard funds. That’s actually cheaper than the 0.15% Vanguard charges for its 2045 retirement fund. There are other expert pies I won’t show pictures of as well. There’s expert pies that follow hedge funds or companies like Berkshire Hathaway. The Berkshire Hathaway pie has 23 holdings that mirror the 13F filing of the SEC. Want to invest like Warren Buffet? Here’s an easy way to do it although be aware of timing issues as 13F fillings come out well after Warren Buffet has made his trade. There’s other expert pies that follow income earners or specific industries and others that are as simple as just stocks and bonds. Want to just do 50% stocks/50% bonds? M1 has that pie. The best part about is that it’s all very simple, automated and allows for easy rebalancing. Let’s say you want to contribute $200/week to your portfolio and you set up a 50/50 slice on M1. Each week, those $200 will flow into the fund that’s underweight and keep you at that 50/50 balance easily. There’s also a rebalance button you can hit any time if you want to get back there faster after one asset class has had a run up. It’s all very easy and as I mentioned before completely free. However, while that’s good enough for most, it’s not what initially drew me to M1. One of the things I look for as an investor is the ability for a platform to be flexible. Investing is not a one size fits all approach. Many investors are fine just taking one of the slices above and doing well with that. However, others want more options. M1 Finance gives you those options. Let’s say you like the ultra aggressive pie above but feel you want less exposure to Europe. It’s a common critique of the Vanguard Target Retirement funds. Their exposure to foreign equities is high and some investors don’t want that. You can certainly adjust that on Vanguard with a lot more work via buying specific ETFs/Mutual Funds and balancing them yourself; OR you can take that M1 pie as a starting point, hit edit and adjust your S&P 500 % up while lowering the developed market down. It’s as simple as that. You can either go with the expert pie which are solid investment choices OR modify any of them to suit your needs. Best of all, you can create pies of your own to suit your investing strategy. The best part about this is that you aren’t even limited to ETFs. Nor are you limited to just socks NOR are you limited by the amount of money you’re investing. It can be a mix of both or a mix of many no matter your invested dollar total since M1 has the ability to purchase fractional shares. This is perfect for investors who are just starting out but want to have a diversified portfolio of individual securities. Let’s say I only have $1000 to investing but like 10 different stocks including expensive ones like Amazon. I can’t do much with that on other platforms. First of all, I can’t even afford one share of Amazon with $1000 and if I want 10 stocks, that means 10 different trades each costing $4.95 or more. However, with M1, that same investor can create a pie that has a 10% allocation to each of the 10 stocks and invest $100 into each one, no matter the individual stock price. It’s a great way to get instant diversification, exposure to stocks you like and instant exposure to the stock market without having a ton of capital to start. That’s exactly why I started using the platform. There are many stocks that I like. However, I don’t want to spend $5/pop to get a few shares here and there. On top of that, some of these stocks like Amazon or Google force me to get 1-2k before I can even buy one share. M1 Finance allows me to create portfolios that include multiple pies that give me exposure to those stocks. Using the platform is easy and in no time at all, I created multiple slices in high risk/high reward areas that I think are good investments. You can see the slices in my high risk/high reward portfolio below. Putting money into this portfolio allows me to get diversified exposure into areas I consider worthy of investment. These are companies I’ve wanted to invest in for quite some time. However, I wasn’t able to due to the inability to diversify across the industries because of trading costs. Now, each $100 I contribute gets invested into the various slices giving me exposure to as many companies as I want. Take a look at my video games slice below. It includes 7 companies and is my biggest slice in the high risk/high reward portfolio. These slices can be as small as 7 stocks like my video game slice or much bigger. For example, my AI/VR/Genetics pie has 18 holdings and my overall portfolio has 87 holdings. It’s pretty much like creating your own ETFs at no cost and that’s pretty awesome! The other cool thing is that you can ever share your pies/slices with others. The best thing is that now I’m invested in many companies I believe in and can benefit from their growth all thanks to the magic of free trades and fractional shares. The platform doesn’t limit you to one portfolio. You can add accounts and create as many as you like. My second portfolio is the dividend aristocrats portfolio. This is an easy way invest in all 53 dividend aristocrats each time I make a contribution. Want to be a dividend growth investor without dealing with all those trading fees? Here’s an easy way to do it! This portfolio gives me equal weighted exposure to 53 stocks easily. It re-balances to an equal weighing each time I make a contribution, purchases fractional shares and best of all I don’t have to pay any trading fees. The platform re-invests dividends for you per your target allocation each time the cash balance goes above $10. It’s a great way for a dividend growth investor to get exposure to all those great stocks without paying a trading fee each time. It’s hard to do that on a traditional platform. There, you deal with trading fees each purchase and need to save money to actually buy full shares. Right now I’m a big fan of M1. It allows me to do so many things that are hard to do anywhere else. It’s the perfect place to get exposure to many individual stocks if that’s what you want and to test trading strategies. One of the things I’m already looking forward to trying is a portfolio that tracks something like Joel Greenblatt’s magic formula. Trading 50 stocks every year seemed like a nightmare before I found out about M1 but now it’s as simple as creating a new pie with those 50 stocks. There are some drawbacks. The trades are done in a batch so you don’t always buy the moment you send a buy signal. There are no mutual funds but a bevy of ETFs fill that void. There is no automatic tax-loss harvesting nor is there a way to connect other accounts for asset allocation tracking purposes. However, these are small minuses for an otherwise awesome platform that I plan to use for a while. This is not a platform for the day trader but a long term investor who wants diversification, free trades and a flexible, highly usable platform. In fact most of my new taxable money is going into M1 right now. My dollar totals here are still small but they’ll be growing pretty quickly. I’ve had a lot of fun creating these pies and slices and plan to do a lot more with it in the future. If this all sounds interesting to you then check it out here. Thanks for introducing the M1 platform — I hadn’t heard of it, and I read a lot of personal finance newsletters. I used to use something similar, Motif, which lets you trade a group of stocks for a flat fee (rather than a trading fee per stock, so a big savings). The platform was easy enough to use and similar to M1 had preformed groups or you could make your own. However, come tax time, records still needed to be put out for each stock and it took forever to get the tax documentation so I always was filing late. I did that for about two years, and then just moved off the Motif platform. That’s something I would check before trying out the M1 platform, but it does sound like a platform with other benefits so I’m excited to hear about it. M1 is great. I think it’s eventually going to inspire other robo advisors to drop their advisor fee in time. I would echo Caroline’s concern – Motif wound up migrating their platform from Apex to Pershing (BK) to address the issue. M1 uses Apex. Overall I would rate them as good and responsive although a couple of my calls were rerouted to their programmers as some in customer service only have a cursory knowledge of investing. I’ve only encountered two issues with them, 1) dividends appear to credit on time yet are posted with a 1-4 day delay. One I had to wait for the month-end statement to see it properly credited. 2) If one of your companies is acquired, ensure the acquirer is a part of the pie. Otherwise when the merger is complete your original holding will be sold.